Conroy Gold and Natural Resources plc (“Conroy Gold”) is a company whose objective is to make substantial returns for shareholders through the discovery and development of economic gold deposits in the North of Ireland and in Northern Finland, in both of which areas geological potential for large gold deposits has been demonstrated. The Company's primary focus is on its 100% owned licences in Ireland which are within the highly prospective Longford - Down Massif. 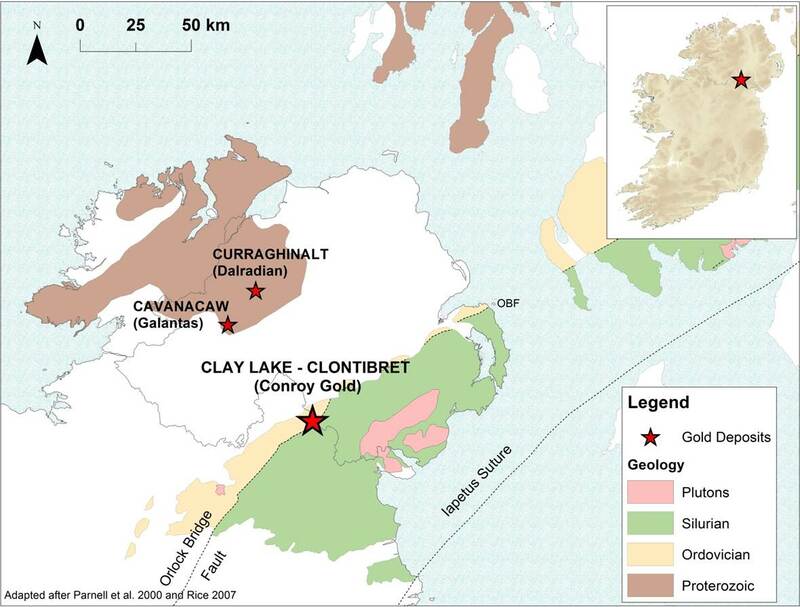 The Company has discovered a 65 km (40 mile) gold trend and is targeting a multi-million ounce gold resource within the Clay Lake - Clontibret district (345Ha) in the northeastern end of its licence area. The 65 km trend contains a series of gold targets ranging from grass roots to advanced stage exploration. The Company is targeting high tonnage and high - contained ounce deposits. Examples of deposits that appear to have similarities to the mineralisation at Clay Lake and Clontibret are the orogenic Macraes mine in New Zealand and the intrusion - related Murantau mine in Uzbekistan. Ireland is a mining and business friendly country and in 2015 came first in Europe for Mining Investment Attractiveness in the prestigious Fraser Institute global rankings.